So far our LA in Memoriam series has highlighted some of LA’s long lost historical landmarks, but with Disney's acquisition now finalized, we’d like to take a moment to bid adieu and eulogize an institution that has contributed to the history and culture of LA and beyond for more than 100 years—20th Century Fox. Founded as Fox Film by William Fox in 1915, the studio's backlot, then called “Movietone City,” was built in 1926 on a ranch in Culver City that sprawled over 200 acres. Fox studio lot in 1928. Image via The Hollywood Reporter. The modern day studio was formed in 1935 when Fox Film merged with Darryl Zanuck's and Joseph Schenck's 20th Century Productions. Zanuck led the studio’s productions for the next 36 years (with a brief interlude from 1956-62), establishing it as one of the “Big Six” Hollywood Studios. In the 1930s, Fox climbed out of the Great Depression on the charm of an unknown five year old, Shirley Temple. In the 1940s, Fox found success through literary adaptations like The Gentleman’s Agreement and The Grapes of Wrath, as well as a series of musicals by Carmen Miranda. In the 1950s, the studio introduced the world to widescreen CinemaScope and Marilyn Monroe, both of which changed movies forever. In the 1960s, Cleopatra nearly bankrupted the studio and forced it to sell off huge portions of its lot. But in the 1970s, George Lucas’s Star Wars marked a new period of success. 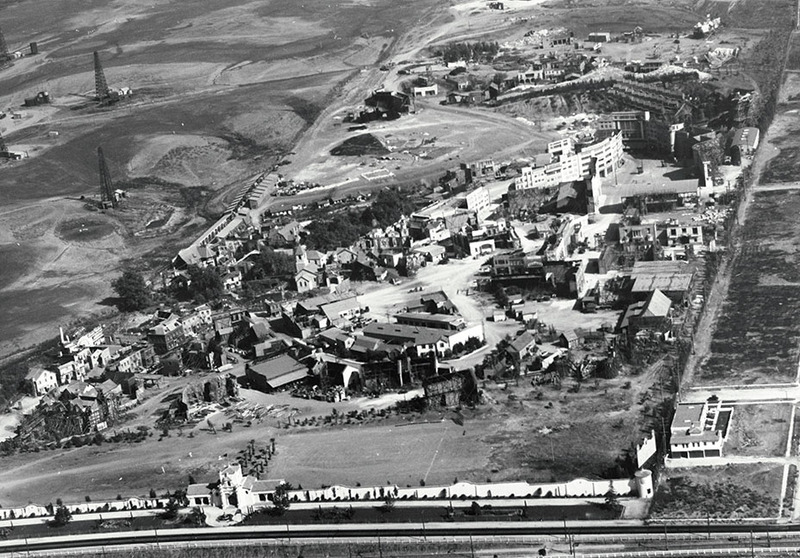 Fox studio backlot in the 1930s. Image via Variety. Filming The Grapes of Wrath in the 1940s. Image via The Hollywood Reporter. Marilyn Monroe on the Fox backlot in 1947. Image via Variety. Among the 2 million square feet of production space on the Fox backlot in Culver City, responsible for so much history throughout the years, you can still find Shirley Temple’s bungalow and the piano where John Williams composed his score for Star Wars. Though some iteration of the Fox studios will continue to live on, there is no denying that the legendary studio’s acquisition by Disney, which formally closed today, is the final chapter of the long history of 20th Century Fox as we know it.